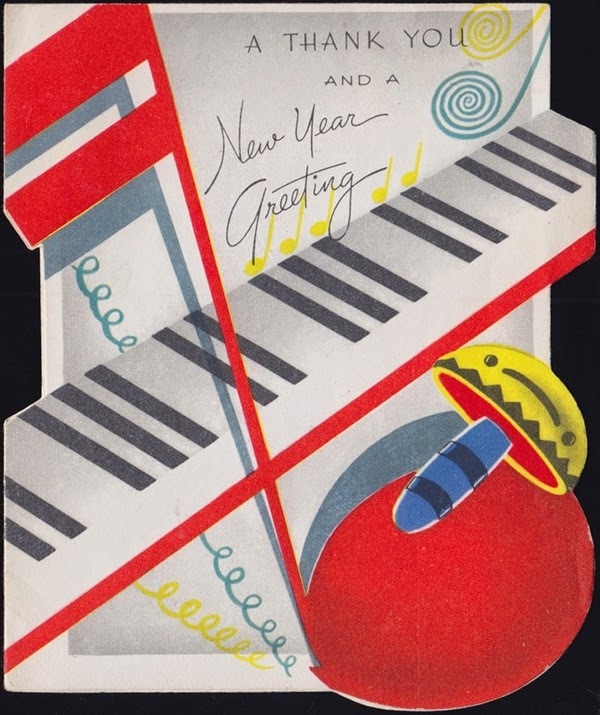 Happy Holidays: The new year has begun! This blog post was supposed to be for January 1. The batteries died in my mouse so they had to be recharged, four hours later the batteries were recharged. It was late in the evening, I am now working on the blog today. 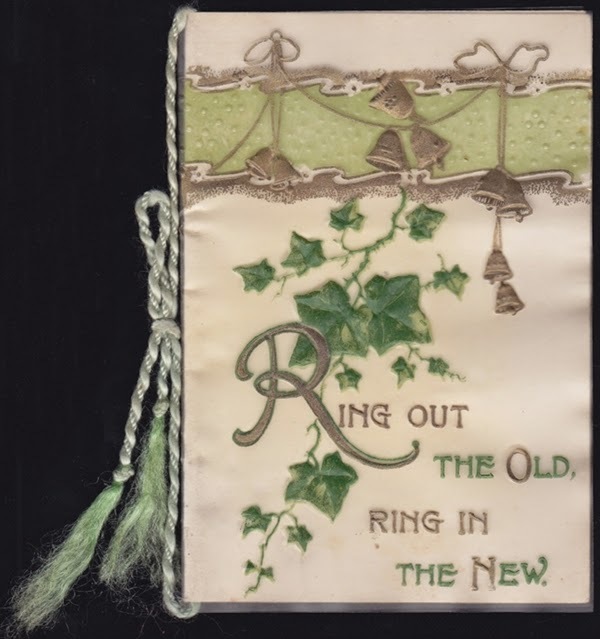 It is late this evening as well but here is the first post, New Year's Eve cards and bridge tallies. 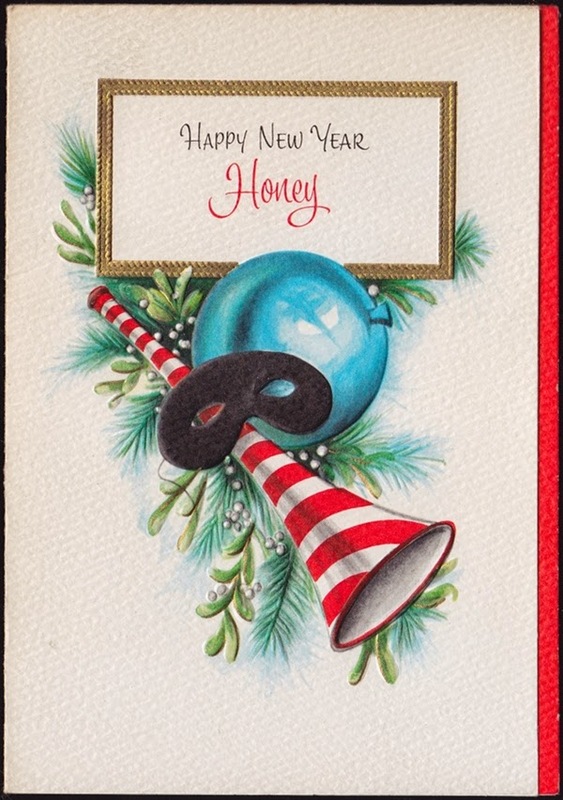 This is the only celluloid New Year's Eve card that I own, truthfully it is a Christmas/New Years card. 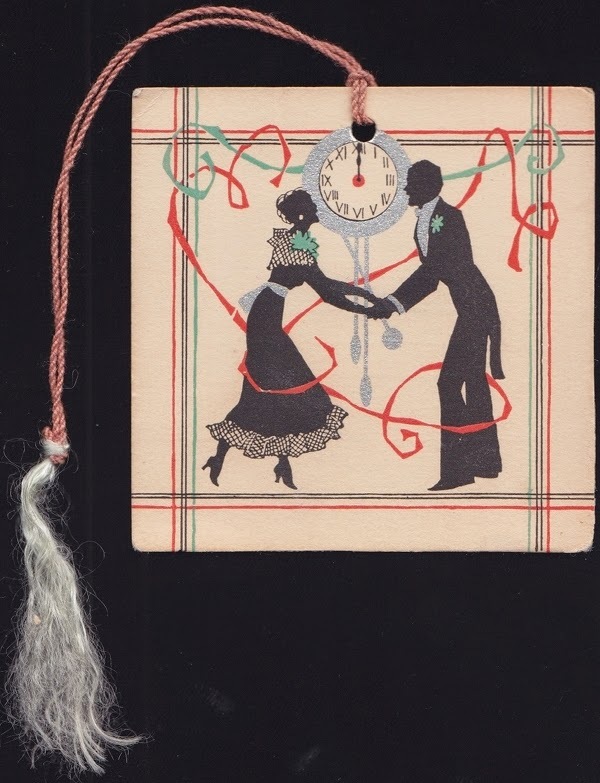 The green silk cord with tassels holds the paper interior snugly inside the celluloid exterior. The green and gold image on the celluloid is deeply embossed. Celluloid was the first plastic. During the Victorian era the language of flowers was used to express deeper meaning to the image on the cards. Ivy had several meanings; fidelity, friendship, wedded love, affection and would differ if included with other flowers or foliage. 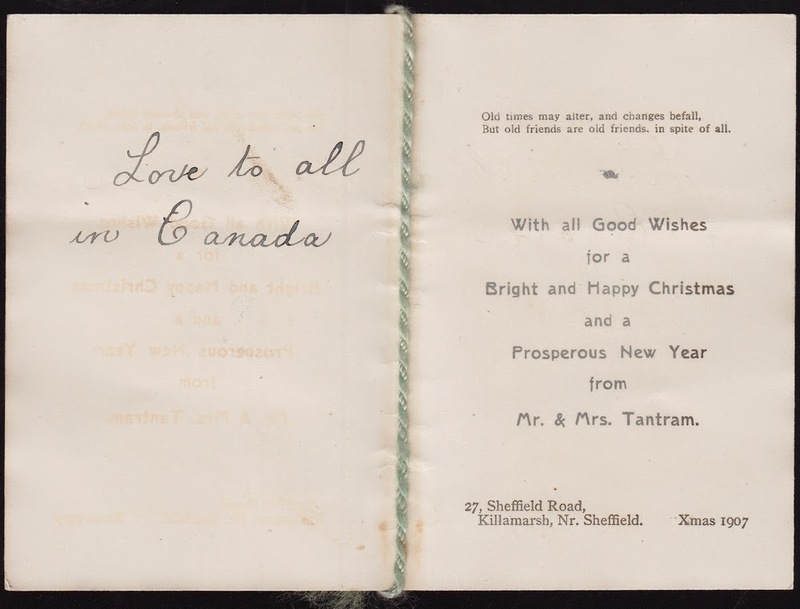 The verse at the top of this 1907 card is somewhat bittersweet, friends or family are now far away in Canada; I am certain that the ivy on the cover of the card had the meaning of friendship and affection. 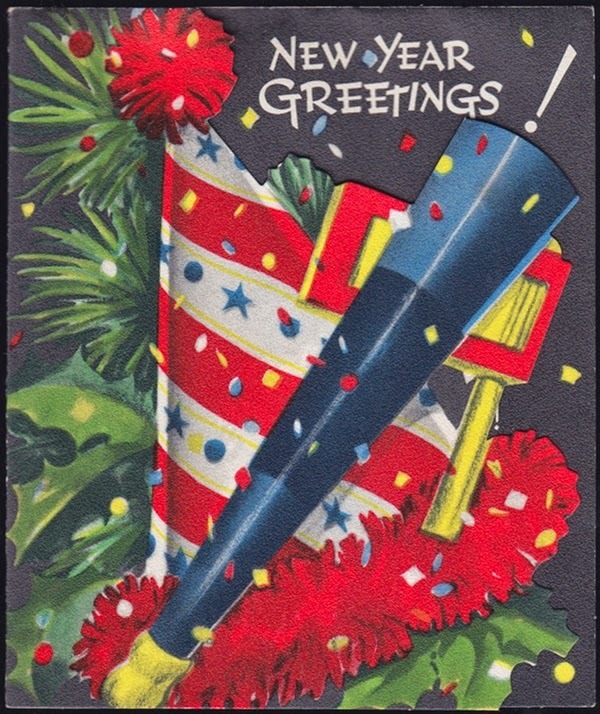 Music, streamers, and noisemakers, what more says Happy New Year. 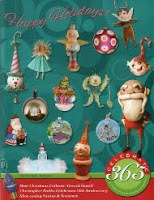 The inside is has some wonderful noisemakers with confetti, streamers, and music signifying the New Year. 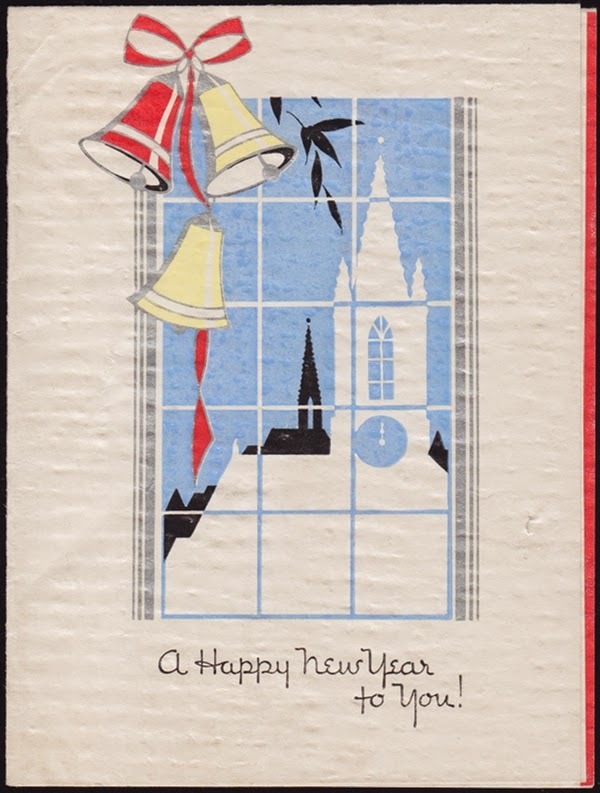 This card looks more like a Christmas card than one wishing a Happy New Year. 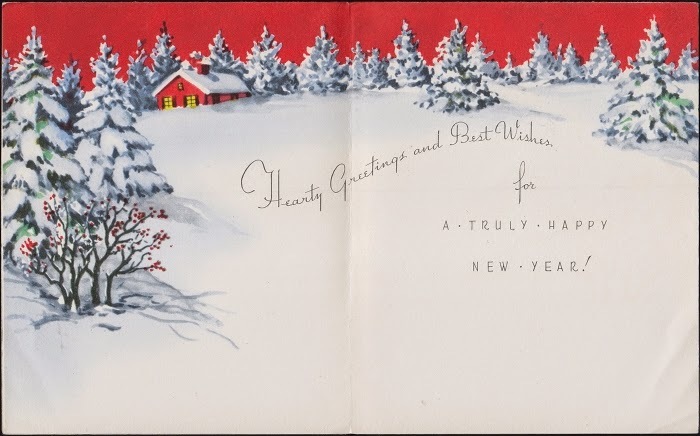 I wonder if this image was also used for Christmas greetings as well? Classic, fun, elegant; I love the image on this card. 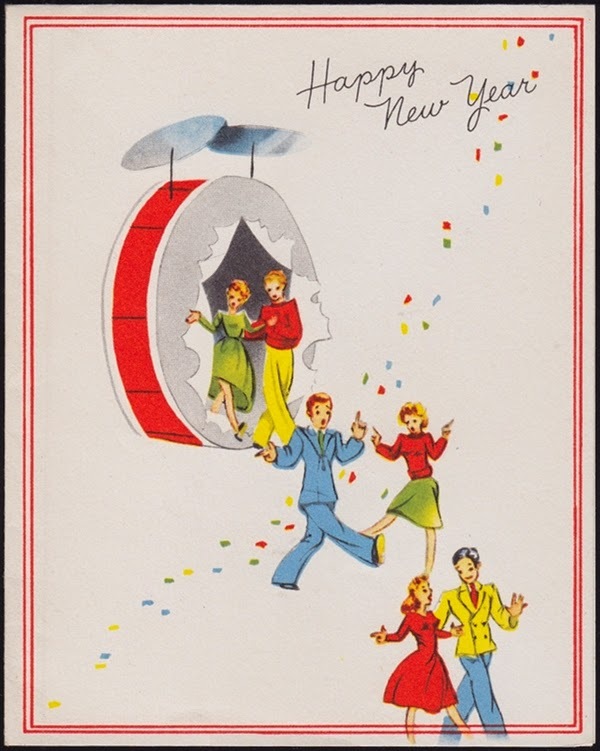 Zoot suiters wish you a Happy New Year in this 1940s card. 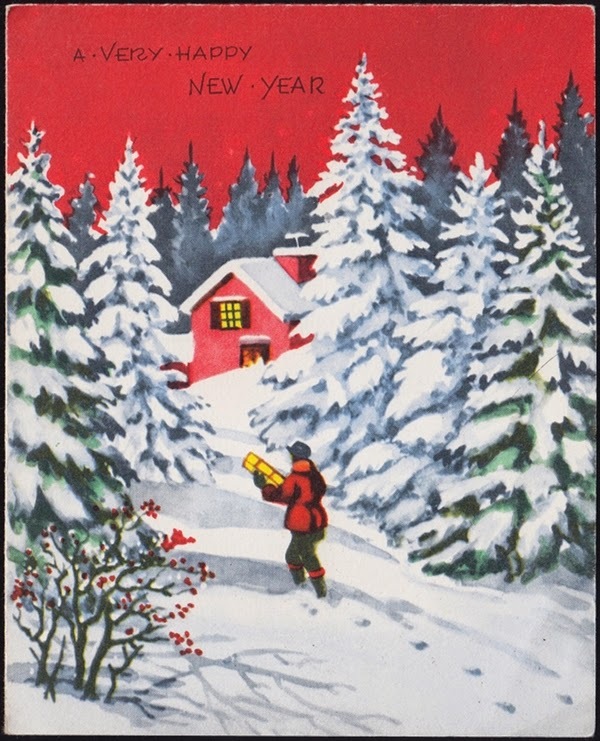 I love noisemakers, party hats, and confetti; with the addition of holly and evergreens in the background what more could you want for this time of year. 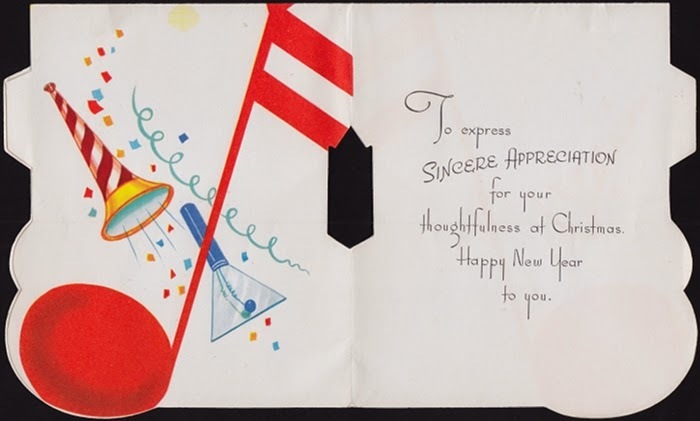 This card is a little more sober than the rest, it may be a wartime card. This is one of my favourite images of Father Time that I have seen and I am happy to say that I own it! The design of each card is beautiful. Both are printed in black, red, green, and silver on cream card stock. 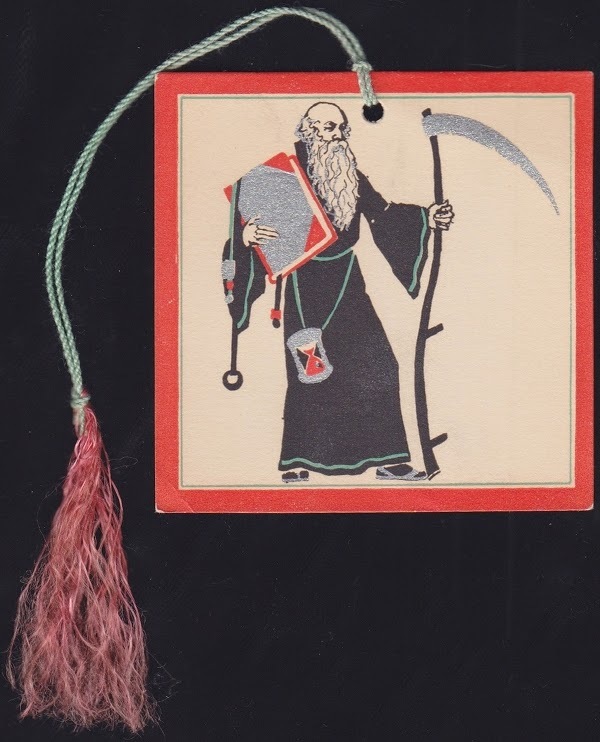 Each card has a silk cord and tassel; Father Time has a green cord with a red tassel and the party revellers have a red cord with a green tassel. There are two more posts to come of antique postcards, I had no idea I owned so many.